More Beautiful for Having Been Broken ~ Is what you have, who you are? 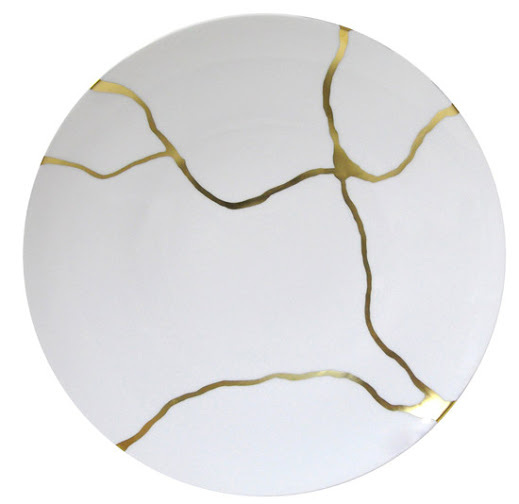 In Japan there is an art form known as Kintsugi, which, when translated to English means “To repair with gold”. When a piece of pottery has been cracked or broken, instead of seeing it as imperfect and throwing it out, these artists ‘fix’ the broken parts of the pottery with a special powdered gold, and turn what was once regarded by others as flawed into something seen as beautiful. There is an understanding that the piece is MORE beautiful for having been broken. Not only is there no attempt to hide the damage, this art form embraces the flaw. The people who create these pieces feel that a crack is simply an event in the life of an object rather than the end of its usefulness. 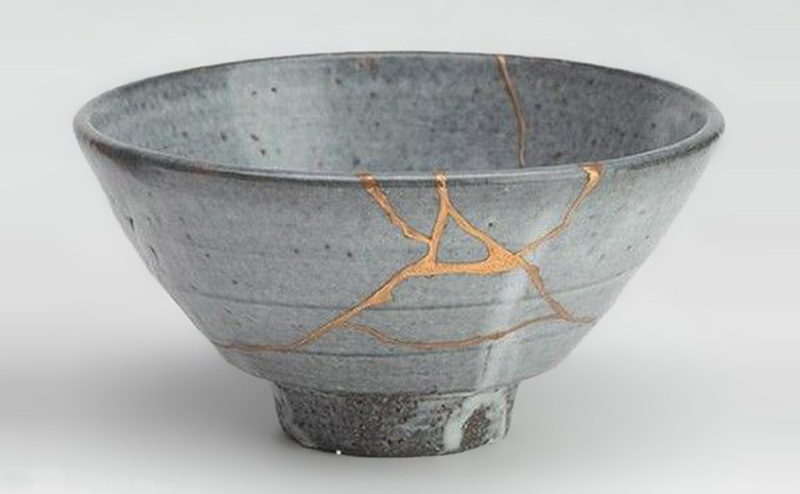 Now realizing that every person is susceptible to the challenges that come with living in an imperfect world, what if we compare our challenges with the breaks, the cracks and the shattering of a piece of pottery? I am confident that there have been times in each of our lives when we have felt broken. After my diagnosis of PD, there was a period of time that whenever I looked in a mirror all I could see were the cracks that were now part of me, and all I wanted was for those broken pieces to disappear and to be able to hide them from the world. Then I began to meet and associate with others who had the same diagnosis, as well as others who were dealing with other situations in their lives that make them feel less than whole. Each one had been broken; yet each one had a glow surrounding them; each one was beautiful. As I listened to their experiences I came to understand that when a person receives a diagnosis or is facing what feels to be overwhelming challenges, it doesn’t just make them a person with a disease, or a person struggling, it makes them part of a community, part of a family, part of something that each of us in this world belong to. When I learned this, it gave me courage and hope because whatever I am going through, I am never doing it alone. I will now ask that you take a moment to imagine with me; imagine that you are a shattered plate lying on the floor; what would happen if you decided to see yourself like those artists see their treasured pieces of pottery? What if each one of us were to decide that we are no longer going to attempt to hide what some might call damaged or imperfections? What if we take those cracked and broken pieces that lie on the floor inside of of our hearts, fill them with gold, and then allow them to shine? I believe with all that is in me, that if we do this; if we look at out disease, or a challenge that we are facing, as an event rather than the end of our usefulness; if we continue to fill our lives with hope, and with purpose; we can take what was once viewed as broken, and turn it into something that is beautiful. If we can incorporate this concept into our lives, I believe that no matter where we go, that mo matter what life throws at us, we will always see those streaks of gold shining through.